upgrades, as well as reconditioning and even basic repairs. projects have come through over the years, only recently did I start to document them with digital pictures. Some of them are now presented here. Please email BEAR Labs about your next project! 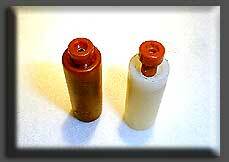 Including special BEAR Labs fluid damped suspension. Altec 203 Horn - damped, modified and refinished. 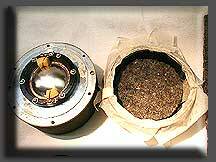 Japanese Compression driver gets high performance damping for the rear chamber, and Ferrofluid for the gap! Fantastic performance! 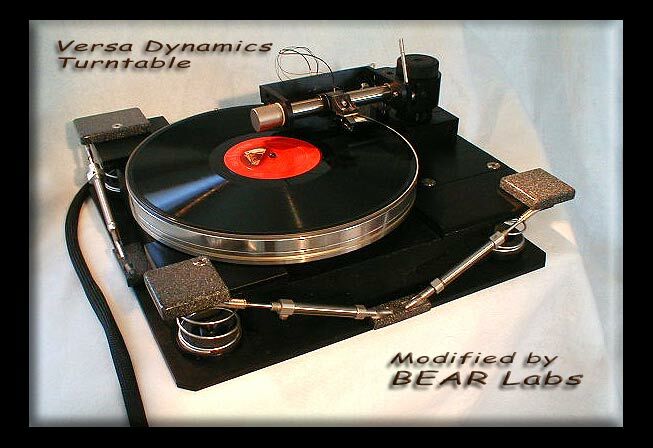 BEAR Labs Super Phono Stage custom retro-fitted into JC Morrison chassis. 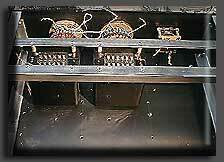 Western Electric 417a cascoded with low noise FET in the front end, split passive RIAA. 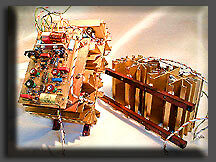 Plus "secret circuit tricks" make this a fabulously amazing sounding phono stage. High Voltage connector for RF Linear Amplifier cloned! 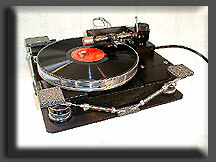 Custom Modified Versa Dynamics Linear Tracking Air Bearing Arm and Turntable. Already outstanding performance is dramatically upgraded with the installation of BEAR Labs designed and machined damping and 6 DOF motion control system! 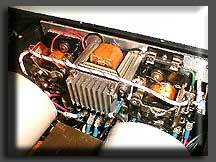 Jadis Defy 7 Stereo 100 watt Class A tube amplifier repaired. 6550 x 6 per channel. 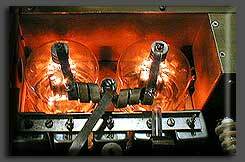 Henry 2K-3 amplifier repaired and modified - 2 x 3-500 Triodes glowing! 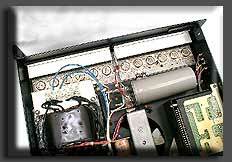 RF Linear 2kw amplfier - amateur radio service. Custom designed and fabricated soft start circuit installed into Strellioff amplifier - corrects start/turn on current surge problem. Strellioff amplifier stripped down, showing old relay start and being prepared for repairs and modifications - click for the rest of the project details! Remember Bedini? This was the first amp line from him, his partner was Strellioff. Very advanced design for its day. 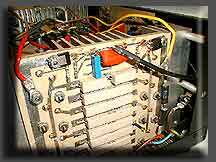 VTL amplifier being repaired. 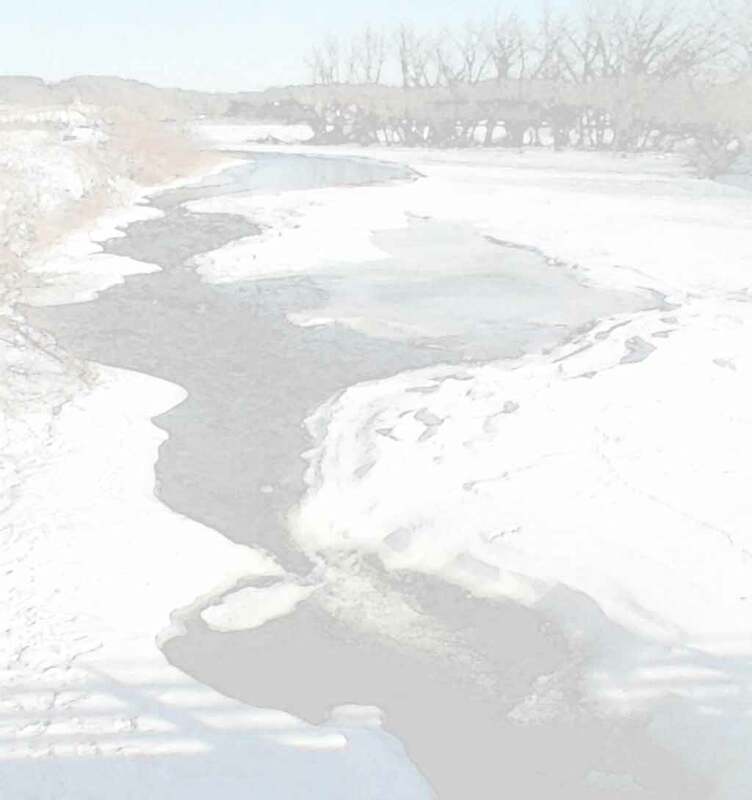 Read about the repair and what caused the failures! 2 x EL34 tube compliment. Curve Traced Transistor. 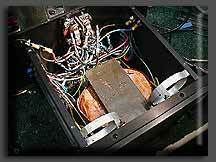 BEAR Labs matches and checks critical solid state components this way. See for yourself the difference between old and new devices and what the difference means. Belles 100watt solid state amplifier gets a new lease on life. Repairs and refit. 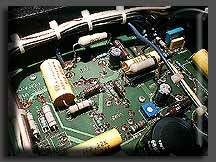 Crown MacroTech & ComTech amplifiers get repairs and matched output devices. 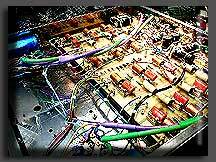 A Single Ended 50 / 300B amplifier gets tweaked, corrected and straightened out. 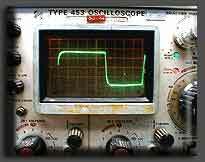 The squarewave tells all. Find out what it says! Here's the start of a transformer coupled line stage. This one is built into a BEAR Labs project box, and was started by a local hobbyist. BEAR Labs took over the project and made it really work! That's UTC iron in there. MOSFET Power Amplifier Modules. Powerful. High Bias DC Coupled design, ample heat sinking. 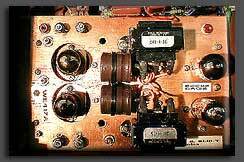 Replacement high voltage capacitor module for R-388 Short wave receiver. You can't buy caps with octal plugs on the bottom any more - so we made one! 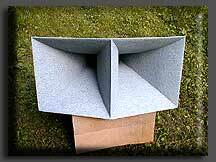 Custom made exact replacement panels for Altec 1590B amplifiers. BEAR Labs can fabricate almost anything you need! Special RCA Input Block for DYNA ST-70 Amplifiers. The ultimate way to set up RCA inputs on the Dyna! No more gouged holes and messy burrs. This block mounts DIRECTLY with the old screw holes after the cheesy Dyna RCAs are taken out! Wow!